You can still taste their famous hot chocolate “chocolat à l’ancienne” or enjoy their “Tartare de bœuf façon Deux Magots”, or sip your “St. Germain cocktail” facing the church. Indeed, you can, all year round, 7 days a week, except for the second week of January 2018 when, exceptionally, the venue will close to get a make-over. But not to worry! The interlude is but a prelude to the celebrations that await you. The authenticity of the place will remain unchanged of course, because when Catherine Mathivat (the owner) and Jacques Vergnaud (general manager) decide on a few ornaments for the mythical brewery, it’s to make you appreciate the exceptional heritage even more. Have a look at the programme: customization of the different terraces, including a cosy square with cushioned armchairs, new lighting, painting of the eaves and embellishments of the decoration, as well as giving pride of place to the famous Chinese statues “two magots” of the 19th century, witnesses to the illustrious meetings inside one the oldest cafés in Paris. But we won’t tell you everything! Because we also need remind you of one of the most important and delightful things: lose track of time. To appreciate the full flavour, book your dinner on a Thursday night enjoying “Jazz Thursdays”: with a jazzy atmosphere around a trio of musicians. 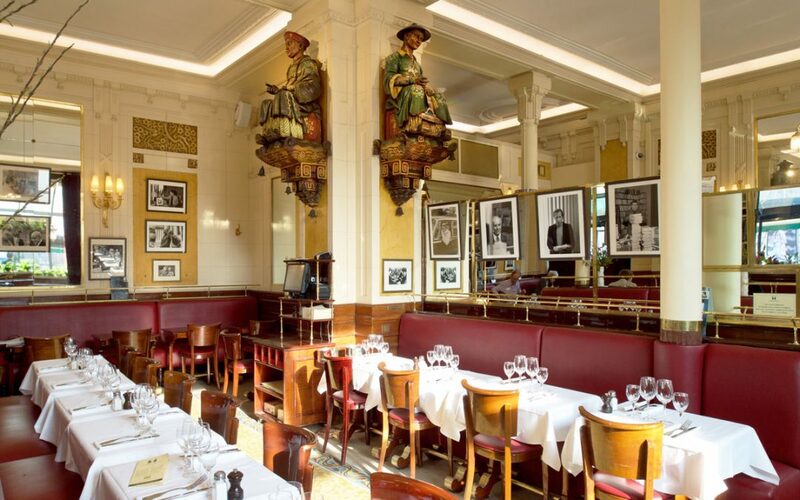 If you wish to make a cultural outing, every other Tuesday there is the Jacques Pessis radio show “Les clefs d’une vie” held at Les Deux Magots facing the thousand-year-old clock tower!